America's an enormous and glorious country with plenty of room for both fancy folks who sip Manhattans and those less fancy folks who prefer to slug a Tequilla Sunrise. Thanks for a study put together by Versus Reviews, we now know exactly where both camps live so we can toast them accordingly. Versus Reviews put the study together by looking at Google search interest data from every state in the last 12 months. And it led to some revelations about our country. For starters, Manhattans are more popular in Vermont than they are in New York. New York prefers the Moscow Mule. 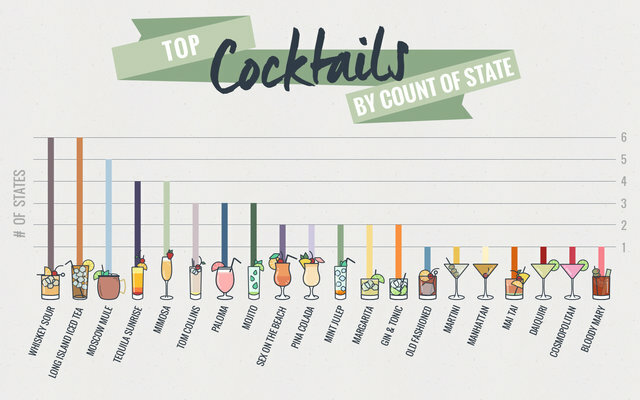 The Long Island Iced Tea and Whiskey Sour are the most popular cocktails overall, with Moscow Mule right behind them. Southern classic Mint Julep came in at No. 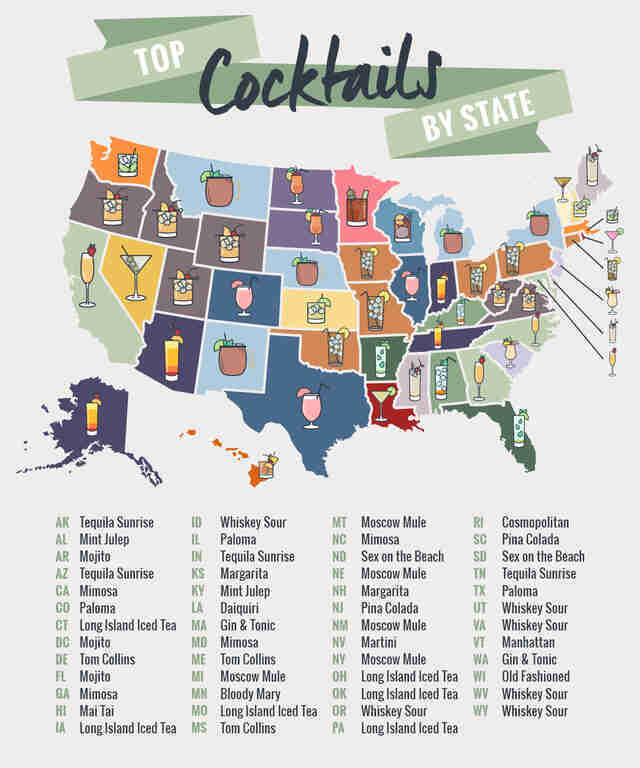 1 in Kentucky and Alabama, though Mississippi prefers the Tom Collins. It should come as no surprise that brunch drinks like the Mimosa, Tequila Sunrise, and Bloody Mary made a big showing and came in at No. 1 in nine states. What's really surprising is that the Bloody Mary only topped one state (Minnesota), a number it shared with the Cosmopolitan. That's shocking for an entirely different reason: Who are these people in Rhode Island drinking Cosmopolitans? James Chrisman is a News Writer at Thrillist who prefers Negronis because he's better than you. Send news tips to news@thrillist.com and follow him on Twitter @james_chrisman2.